I am not sure if the Webnerhouse blog has ever participated in rumor or speculation, but last week while watching the OSU basketball game on Friday I heard that a friend of mine knew for a fact that Urban Meyer, Florida’s ex-coach had purchased a house in Upper Arlington. His moving here probably isn’t much of a stretch as Coach Meyer is a native of Ohio and an alumnus of the University of Cincinnati. His first collegiate coaching opportunity was for two years as a graduate assistant here at Ohio State. I have tried to verify his buying a house here through my friend who sells a lot of real estate in Upper Arlington, but with no luck. This rumor is an interesting one none the less as additional information surfaced last week that Coach Tressel forwarded the dreaded e-mail he received last year to Terrell Pryor’s mentor in Pennsylvania. So much for the confidentiality excuse he used in the press conference. I typically give people the benefit of the doubt, but what bothers me is that Tressel knowingly signed a piece of paper in December stating he knew nothing about tattoo parlor situation when he did. One would think that his efforts to not come totally clean will cause the NCAA to come down harder on Ohio State than initially anticipated. Recently Coach Tressel has been saying he is sorry for not knowing what course of action he was to take with the e-mail, yet he forwarded the e-mail on to Pryor’s confidante. Maybe I am being to hard on the guy, but the I didn’t know what to do excuse he has been using is wearing thin with me and makes me think that his resignation or his ouster may be in order. Ohio State’s reputation has been tarnished and is taking a beating on the internet – O lie O and O$U to name a few. Of course 80% of the Buckeye faithful are still behind coach Tressel, but for how long if the school is placed on probation for a year or two with no bowl eligibility. No one knows how this whole thing will play out, but wouldn’t it be nice to have a coach that knows how to beat Southeastern Conference teams for a change ? Cars, like people, deserve a proper retirement send-off. Today we bid adieu to Kish’s little blue BMW station wagon. 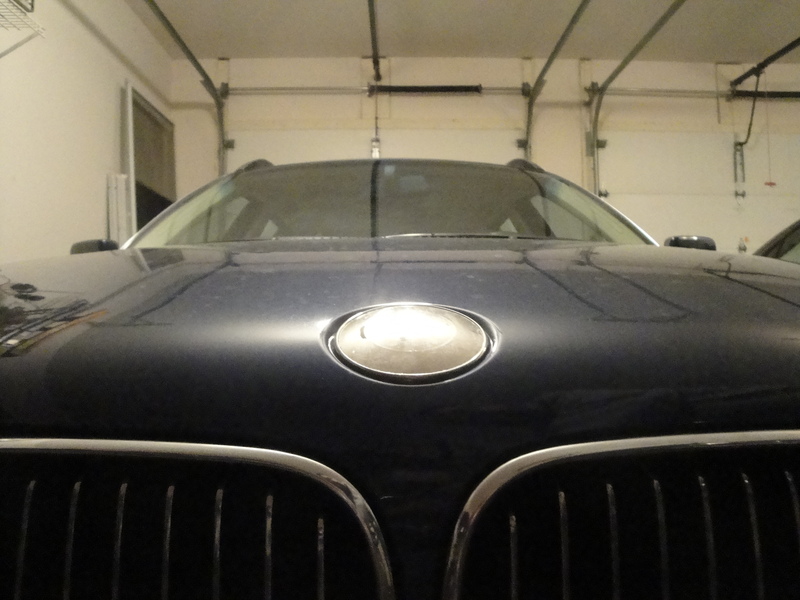 We’ve had the blue Beemer for nine years and put on more than 100,000 miles. The car has patiently endured paint splashes, clipped side-view mirrors, fender benders, coffee spills, and lots of dog hair. It has borne us to and from faraway places, lugging loads of happy people, dozing dogs, suitcases, paintings, and stray furnishings. It has delivered reasonably good mileage. And it has continued to serve for years after it was paid off, requiring only periodic maintenance in order to provide the essential of reliable daily transportation. It has become a kind of member of the family. But to every thing there is a season, and for the little blue Beemer the season of change came when the alternator gave up the ghost on I-77 and had to be replaced. The worm of doubt about its continuing reliability was introduced, and with that its hour of career change inevitably drew nearer. So today we trade it in for a new Acura mini-SUV, but we thank the BMW for its years of faithful service and wish it the best in its future endeavors. And now, we’d like to present it with this plaque and a gift certificate to Jiffy Lube.